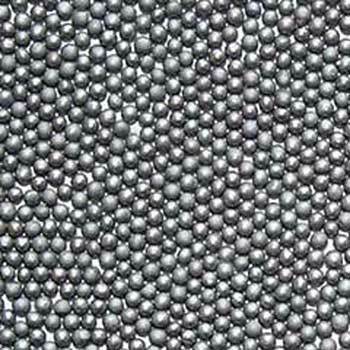 We are renowned as a Round Steel Shots Supplier, Dealer, and Stockist in India. Steel Shots are actually a spherical shaped form of steel casting. The Shot is manufactured by pouring a molten mixture of premium grade steel scrap and select alloys through a series of water jets. On contact with water, the molten metal is atomized, forming round particles in a controlled range of various sizes. These particles then fall into a water tank, where they are dried, screened by size and quenched. Afterwards, these are tempered in a unique heat treatment process that assures ultimate control over the microstructure and hardness of the product, prior to final screening. We also provide Wholesale Industrial Steel Shots at the most beneficial deals. 25 kgs. Double lined HDPE Bags. Silicon : 0.5 % min. Sulphur : 0.08 % Max. Phosphorous : 0.08 % Max.